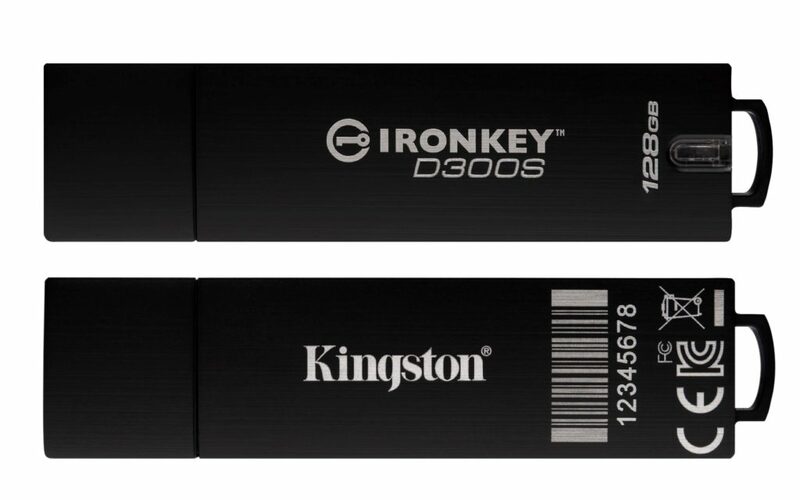 Kingston Technology, a world leader in memory products and technology solutions, has added new features to its recent Cyber Defense 2018 Global Awards winning IronKey™ D300 encrypted USB Flash drive to improve device management and security. A new Serialized version (D300S) with two new features will further enhance the drive’s already advanced level of security to safeguard sensitive data. 3 IronKey EMS/SafeConsole by DataLocker, purchased separately. 4 D300S supports limited Linux commands, such as login, logout, initialize, about and forgot password. 7 Some of the listed capacity on a Flash storage device is used for formatting and other functions and thus is not available for data storage. As such, the actual available capacity for data storage is less than what is listed on the products. For more information, go to Kingston’s Flash Memory Guide at kingston.com/flashguide. 8 Speed may vary due to host hardware, software and usage. Easily manage thousands of drives: With IronKey EMS or SafeConsole you can centrally administer access and usage policies and easily manage thousands of drives. Unique Serial Number and Scannable Barcode: Time saver, simply read or scan the barcode, when deploying, when it is returned as well as during any physical auditing.